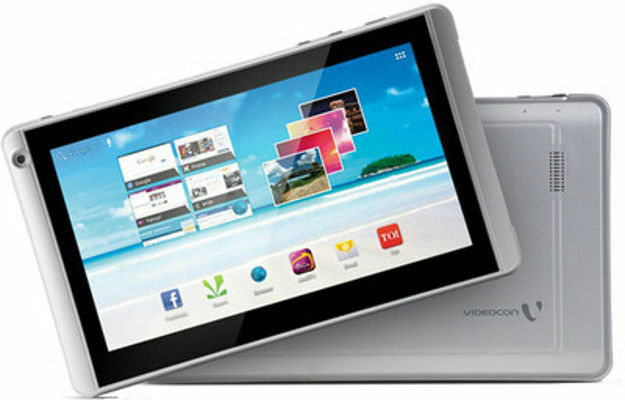 Videocon VT 71 is a new tablet from Videocon with Wi-Fi and 3G enabled. It has been loaded with a few new features. The all new Videocon VT71 comes with a 7 inch Capacitive Touch Screen that gives you a display resolution of 480x800 pixels. Now see everything you want with more clarity on the huge screen. 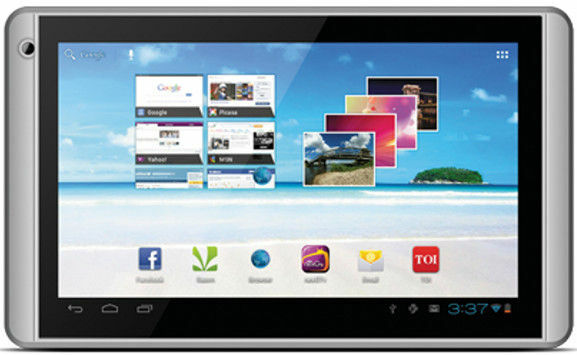 The latest tablet Videocon VT 71 has been based on Android 4.0 ICS OS and has been powered by 1.2 GHz Processor. Now you get to experience great speed and performance while playing games or surfing the net. Videocon VT71 has been enabled with various connectivity features like Wi-Fi, 3G, G-Sensor, HDMI. USB, Audio Jack and Bluetooth. Now chatting, making video calls and transferring data can be done in minutes. This beautiful tablet has been fitted with a 0.3 MP front camera that lets you make video calls and add a face to all your voice calls. You can also take good self portraits whenever you feel like. Videocon VT 71 has 512 MB RAM, 4GB Internal Memory which can be expanded up to 32GB via micro-SD card. It also has a powerful battery that will give you longer talk time and standby time. Talking about the tablet first, it has wonderful and user friendly interface. It's very convenient for small kids, my son use it for his educational purposes as well as for playing games. It has a good storage space also and I can use expand it up to 32 GB. It has phenomenal sound quality that keeps you going whole day. And infibeam: Thankyou for timely delivery and safe packing. Surely will look forward to do more shopping from you. CHEERS. I ordered this tablet from infibeam after doing lots of research. Product is quite good as it has 7 Inches screen, powerful processor, 4 GB memory and more. But it lacks in camera quality. I wish it could have some more resolution.